Introducing the new 2016 Leg Press (P-LP16) with the same amazing capacity and a smaller footprint. 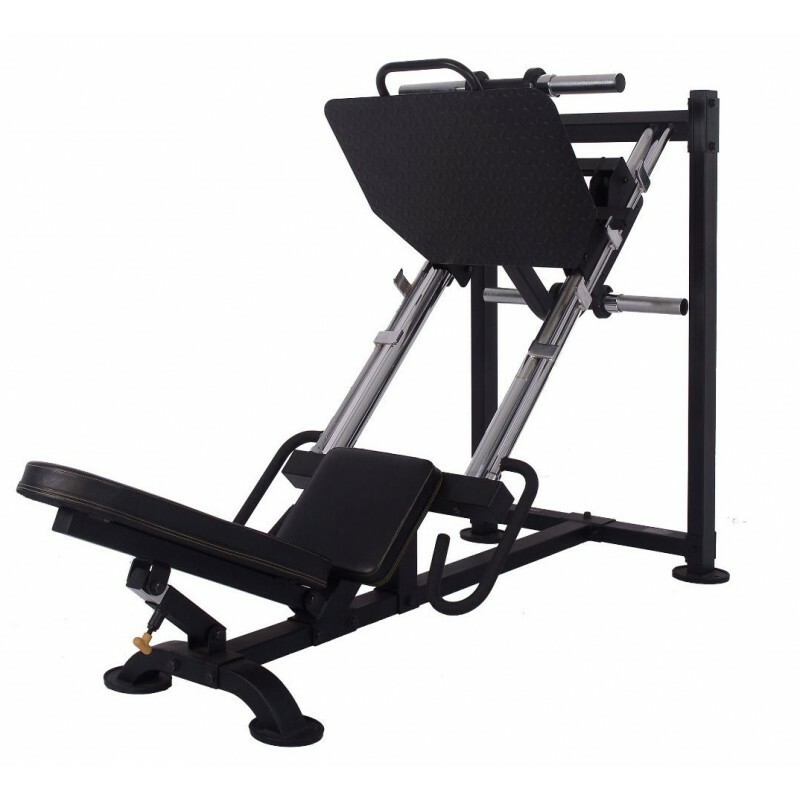 Our redesigned Leg Press will come in a matted black finish with a reduced the footprint of almost 4” on each side, while maintaining the same stability to support up to 1000 lbs. of resistance. The Powertec Leg Press incorporates a revolutionary carriage system for the smooth weight training experience. The high tensile strength foot plate is driven by a roller system that incorporates bearing driven nylon reinforced wheels for the ultimate in stability and smoothness. • Four weight horns with max total capacity of 1000 lbs.